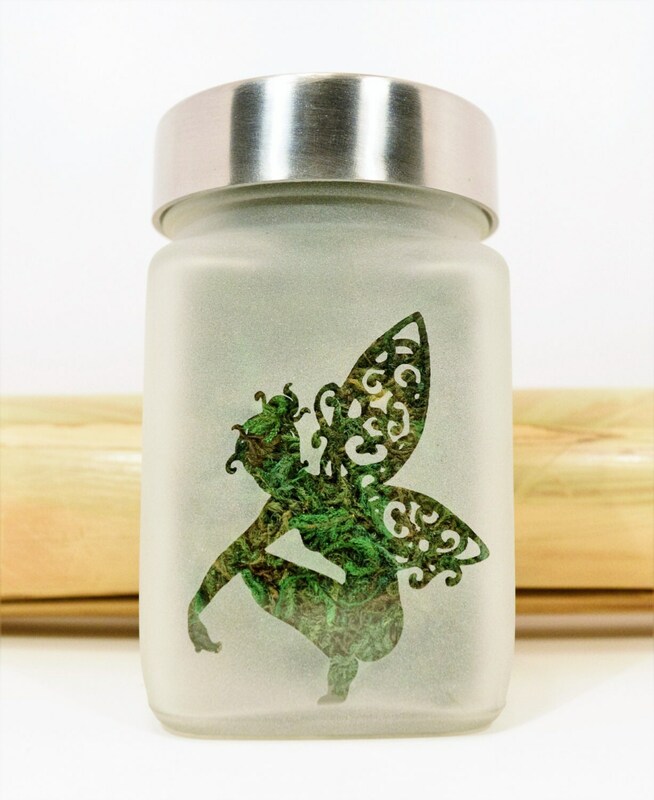 Fairy Stash Jar make great weed accessories, stoner girl gifts. 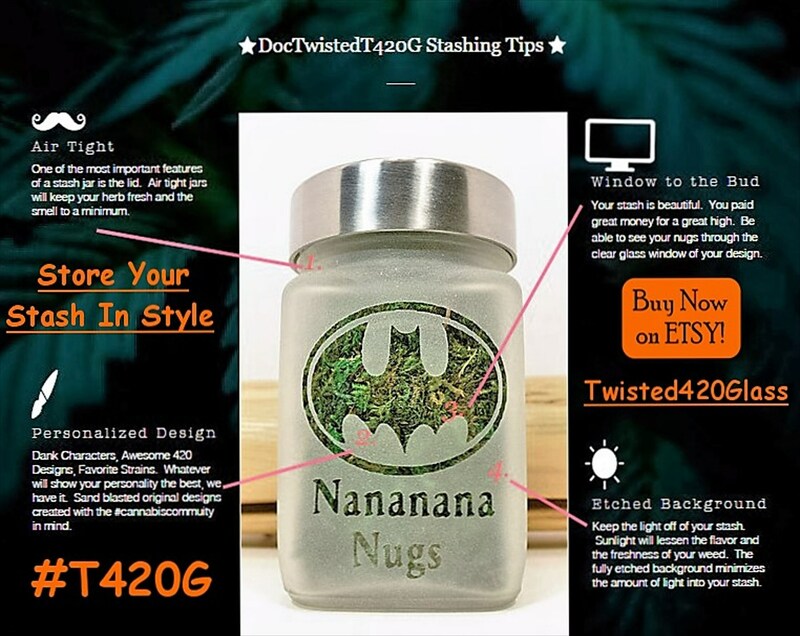 Stash jars, weed jars and cool stash jars for Cannabis Christmas. Ultimate ganja gifts for her. 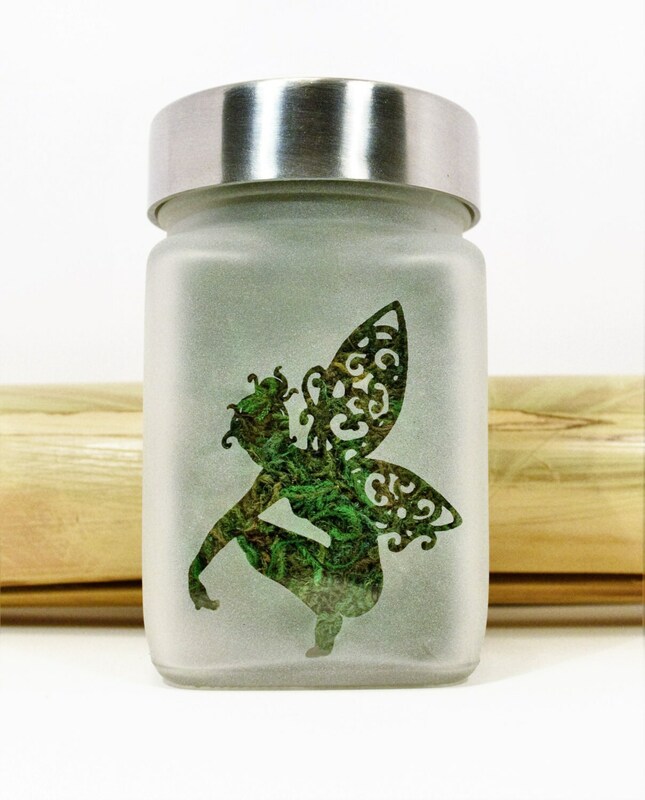 Etched glass Fairy personal stash jar. Keep your herbs & mmj fresh. Food grade medical marijuana stash jar, brushed aluminum screw on lid. Fairy Stash Jar size roughly 2.5"w x 3.5"T.
Note: The Fairy jar image in photo has a Green back drop. 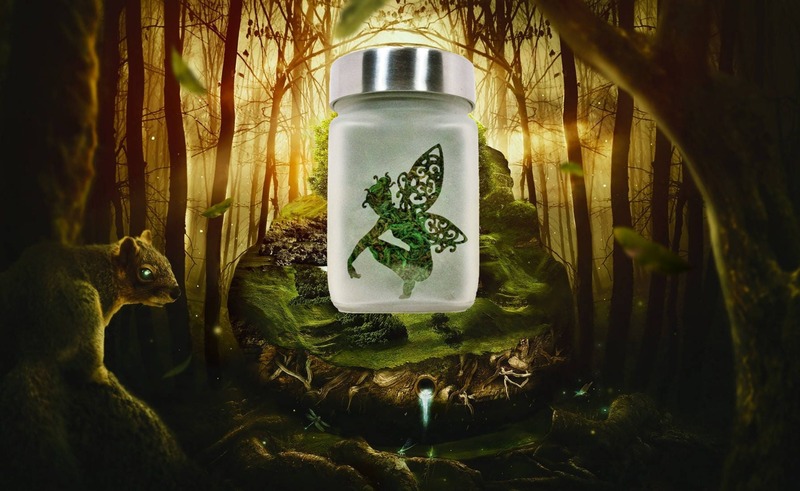 When it arrives to you the Fairy logo will be clear glass. All other sides and back are solid etched. Perfect!!! Fast shipping too!! I love it! Item appeared to be smaller than expected, though it does it job of holding herb very well. I have yet to see a coloration to the likes of the promotional photos, but can see some change. Item works well, and I'm sure my girlfriend will love it! Thanks!